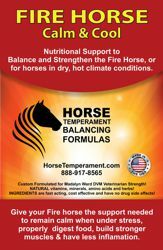 There are many approaches to Traditional Chinese Medicine (TCM), but the Five-Element approach is unique in that it includes the idea that each of us, animal or human, represents a “constitutional type,” exhibiting certain physical and emotional traits that are specific to that type. 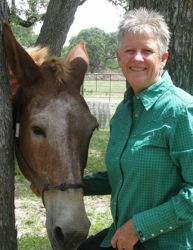 Viewing the individual from this perspective can also be applied to horses, thus facilitating a better understanding of any given horse’s nature and needs. Madalyn Ward, DVM has created a variety of resources to help horse owners understand these personality types and provide for their individual needs. 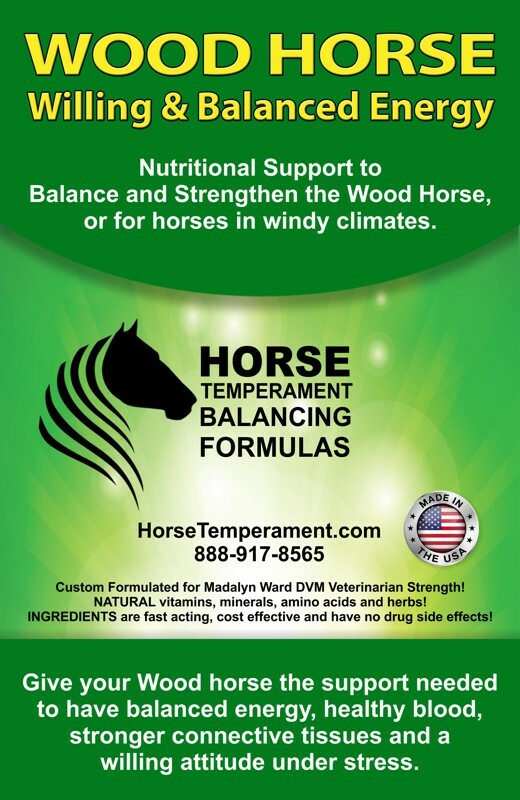 Balancing Formulas are currently only shipped within the US. 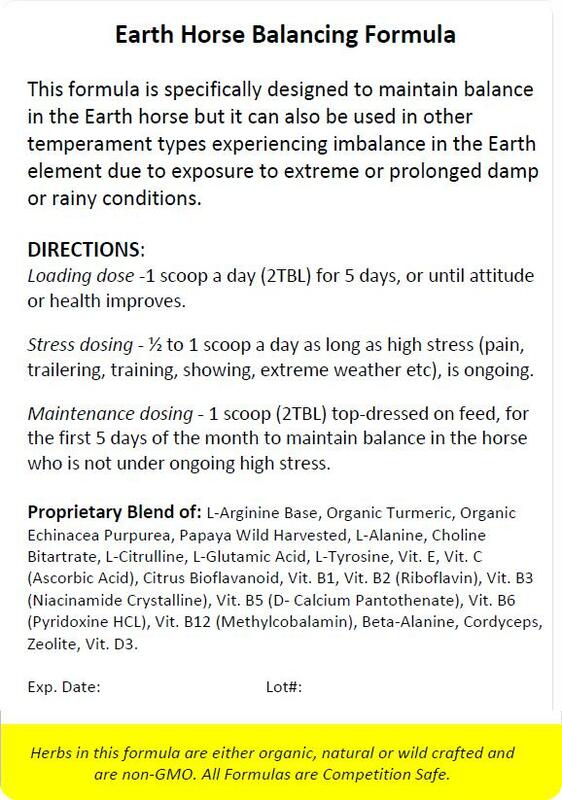 If you need Formulas shipped to Canada please contact us before ordering. The Earth Horse Formula is based on the unique needs of this temperament type. 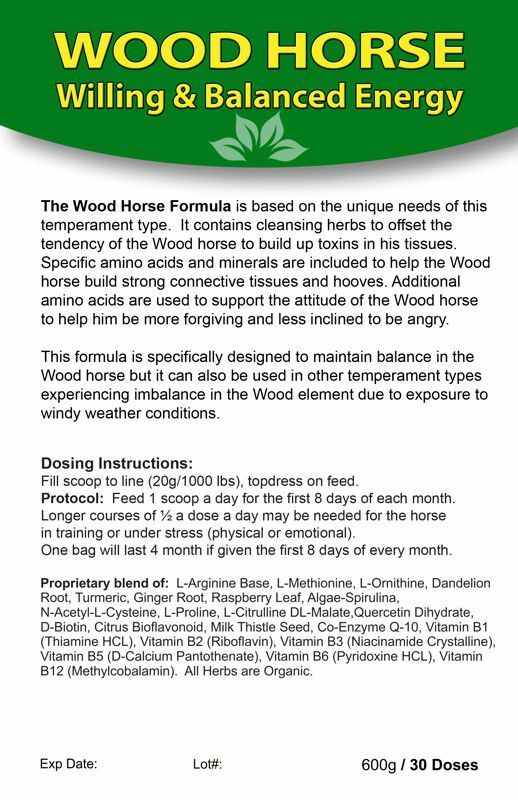 It contains drying herbs to offset the tendency of the Earth horse to build up fluids in his tissues. 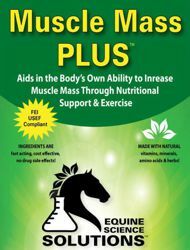 Specific amino acids and minerals are included to help the Earth horse build strong muscles and to improve endurance. Digestive enzymes are provided to support proper breakdown of foods. 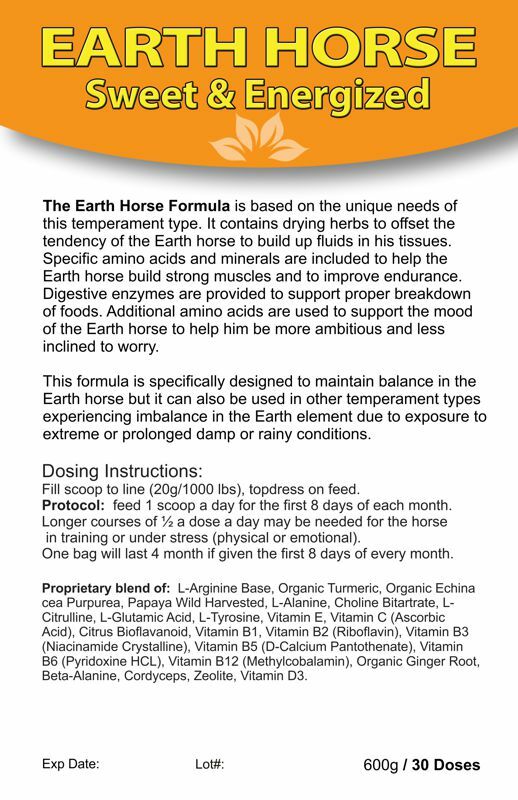 Additional amino acids are used to support the mood of the Earth horse to help him be more ambitious and less inclined to worry. 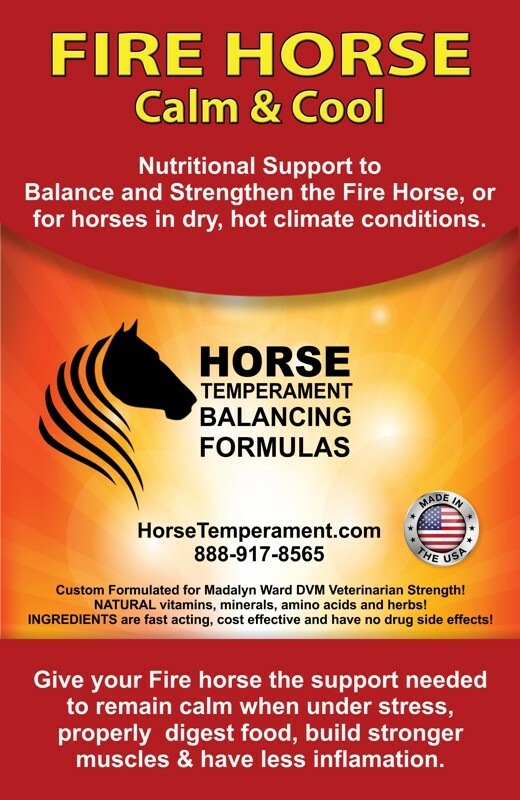 The Fire Horse Formula is based on the unique needs of this temperament type. 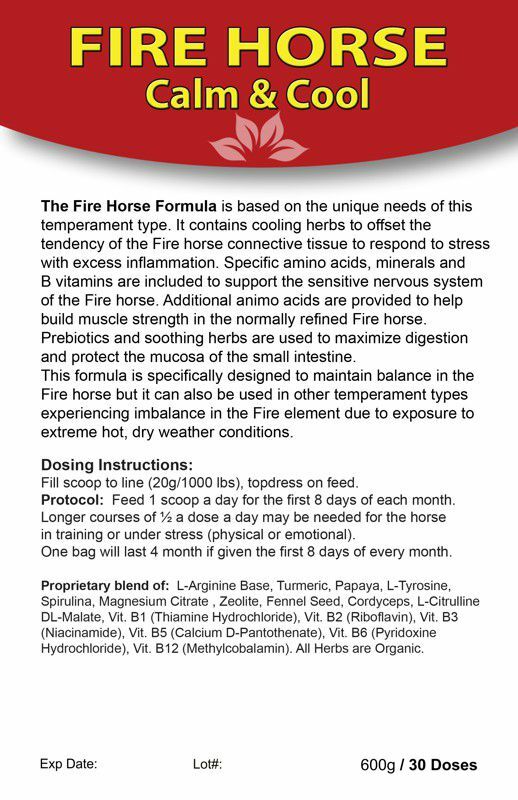 It contains cooling herbs to offset the tendency of the Fire horse connective tissue to respond to stress with excess inflammation. 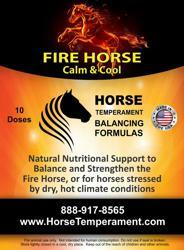 Specific amino acids, minerals and B vitamins are included to support the sensitive nervous system of the Fire horse. 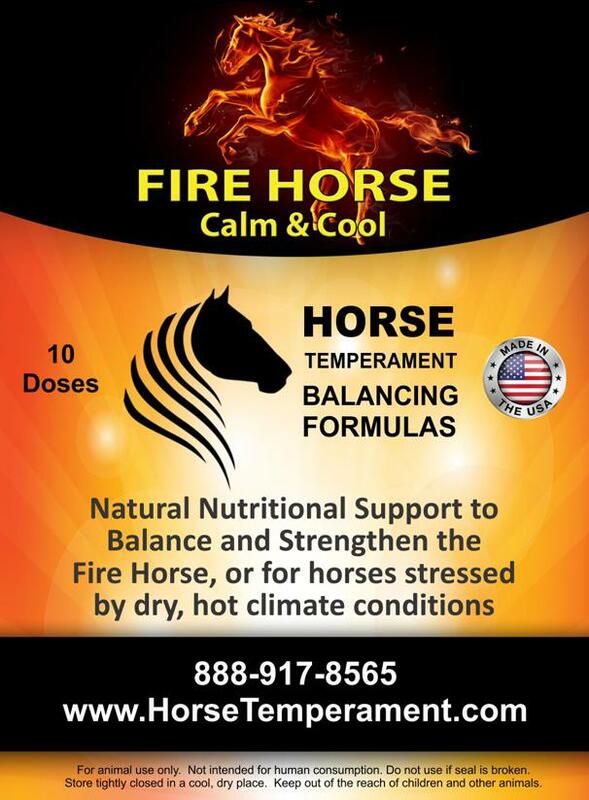 Additional animo acids are provided to help build muscle strength in the normally refined Fire horse. 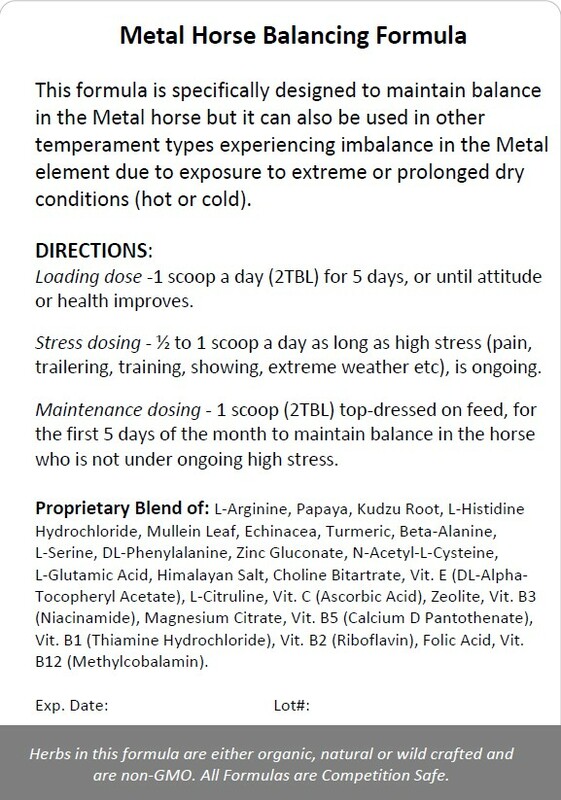 The Metal Horse Formula is based on the unique needs of this temperament type. 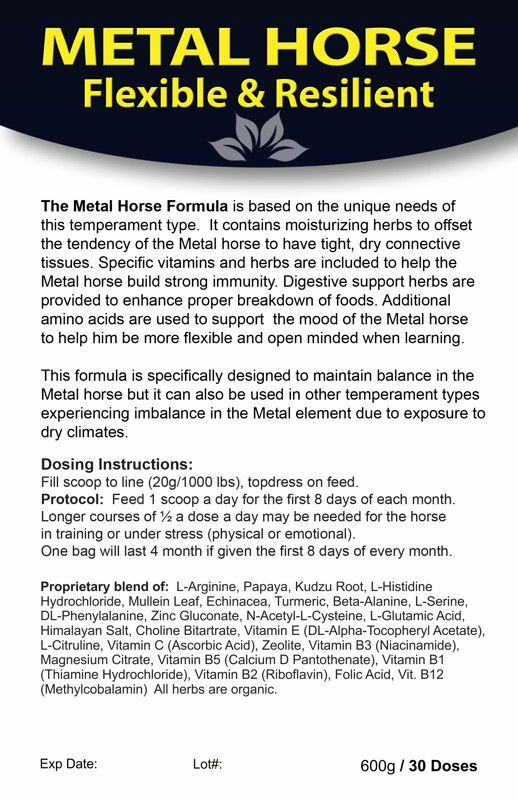 It contains moisturizing herbs to offset the tendency of the Metal horse to have tight, dry connective tissues. 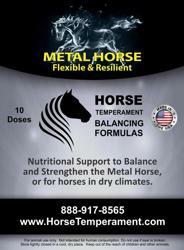 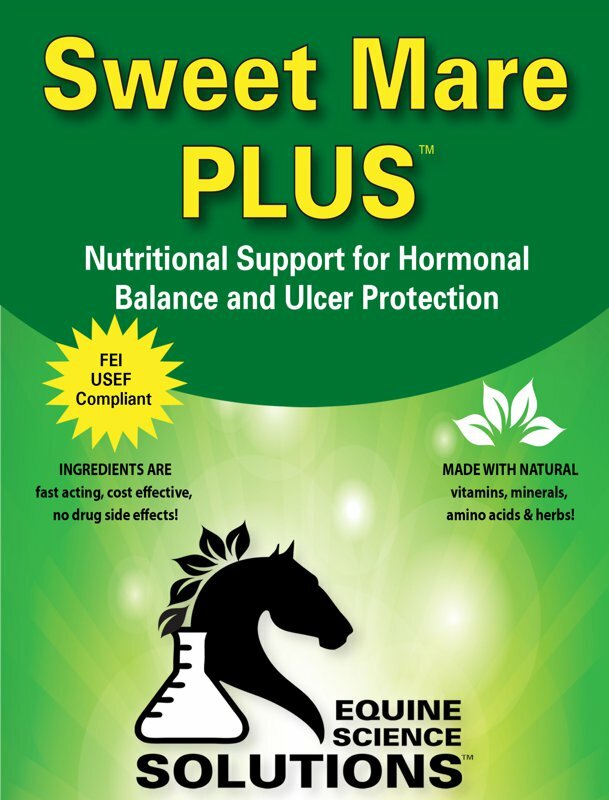 Specific vitamins and herbs are included to help the Metal horse build strong immunity. 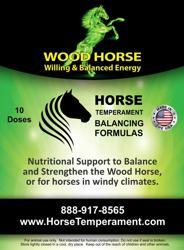 Digestive support herbs are provided to enhance proper breakdown of foods. 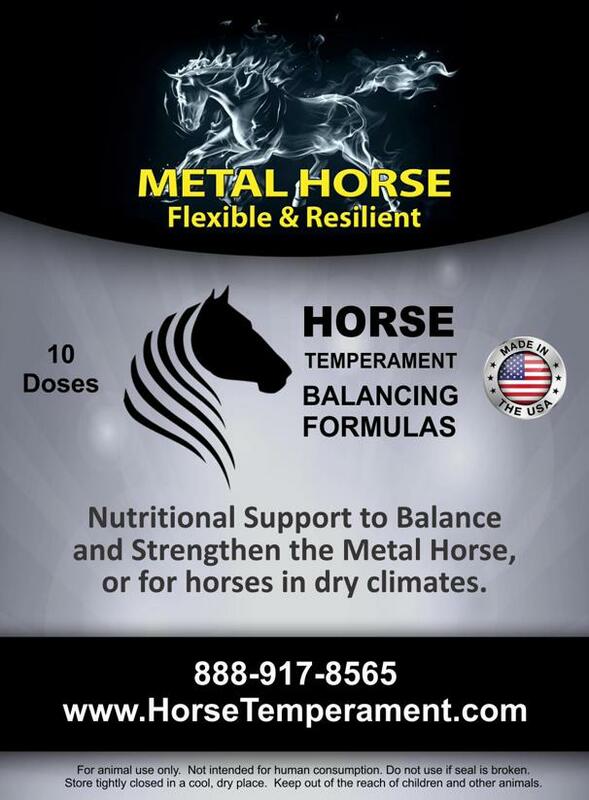 Additional amino acids are used to support the mood of the Metal horse to help him be more flexible and open minded when learning. 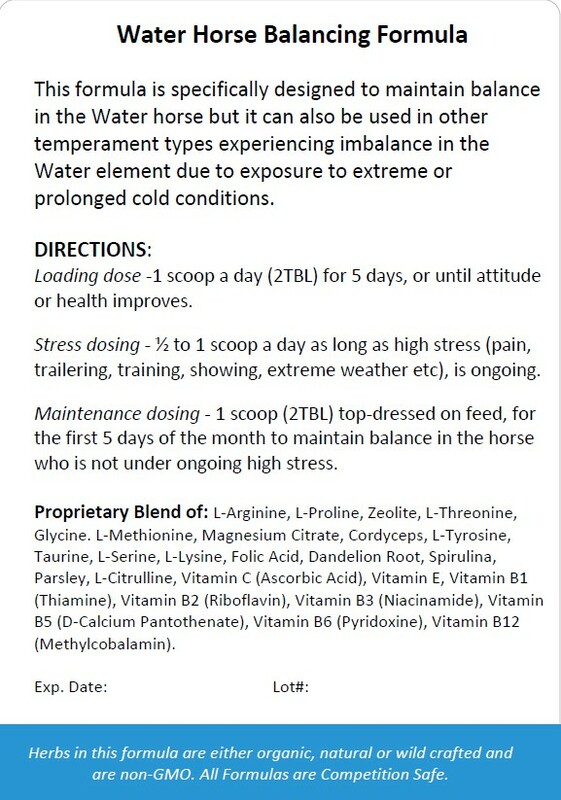 The Water Horse Formula is based on the unique needs of this temperament type. 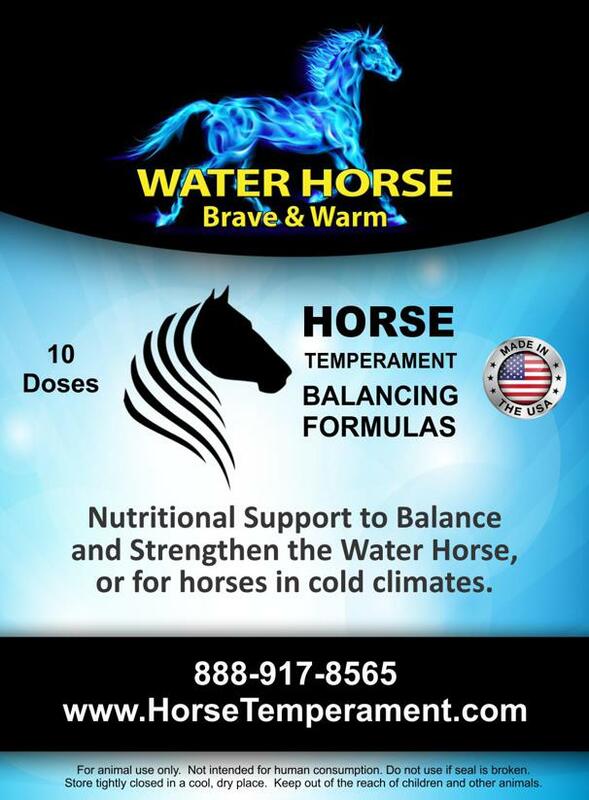 It contains warming herbs to offset the tendency of the Water horse to suffer from bone and joint discomfort that is worse in cold weather. 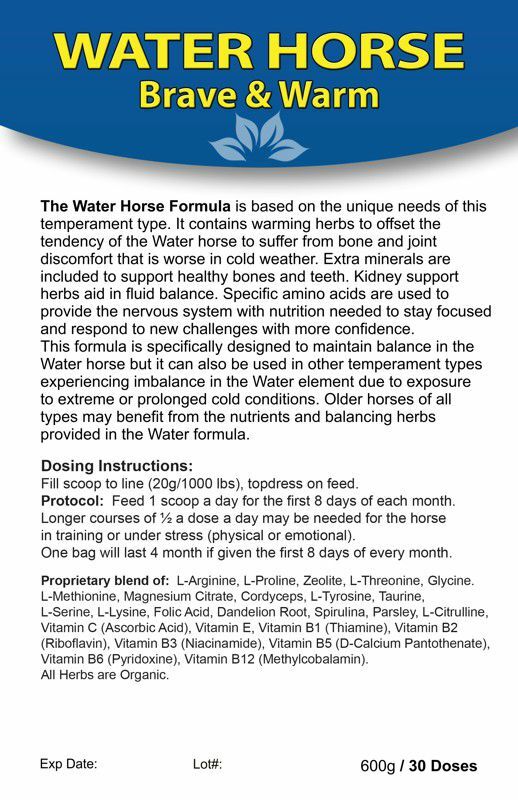 Extra minerals are included to support healthy bones and teeth. 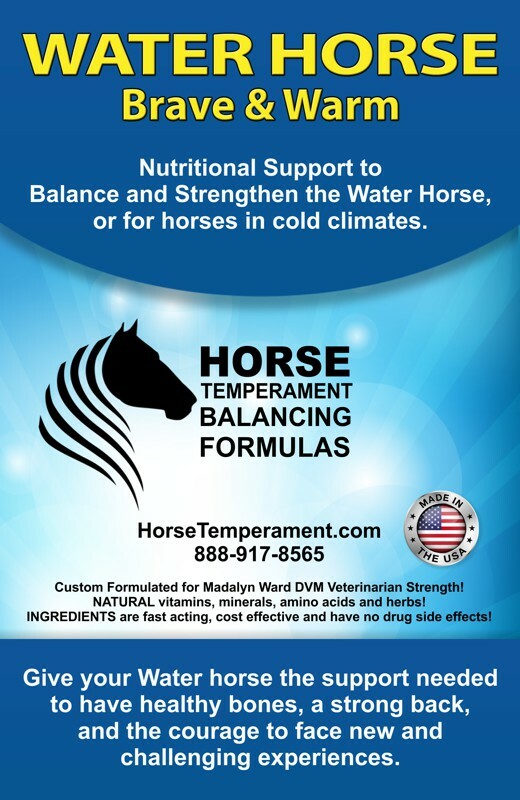 Kidney support herbs aid in fluid balance. Specific amino acids are used to provide the nervous system with nutrition needed to stay focused and respond to new challenges with more confidence. 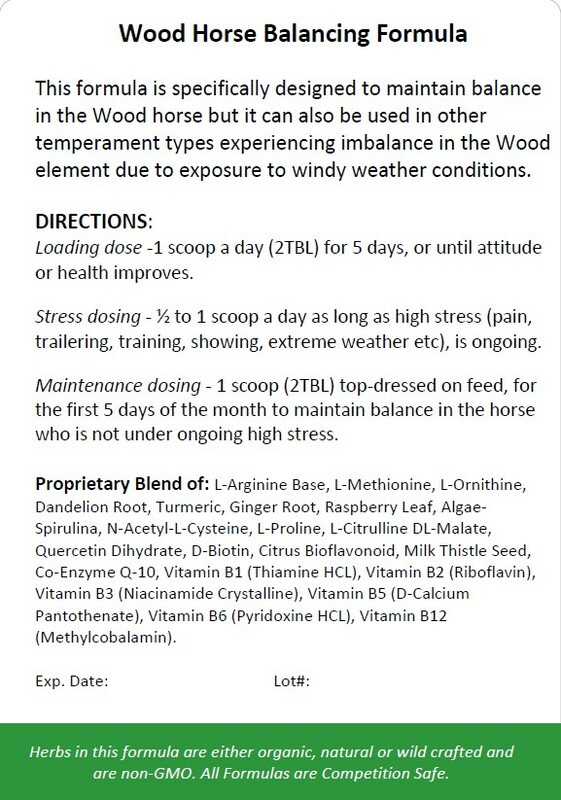 The Wood Horse Formula is based on the unique needs of this temperament type. 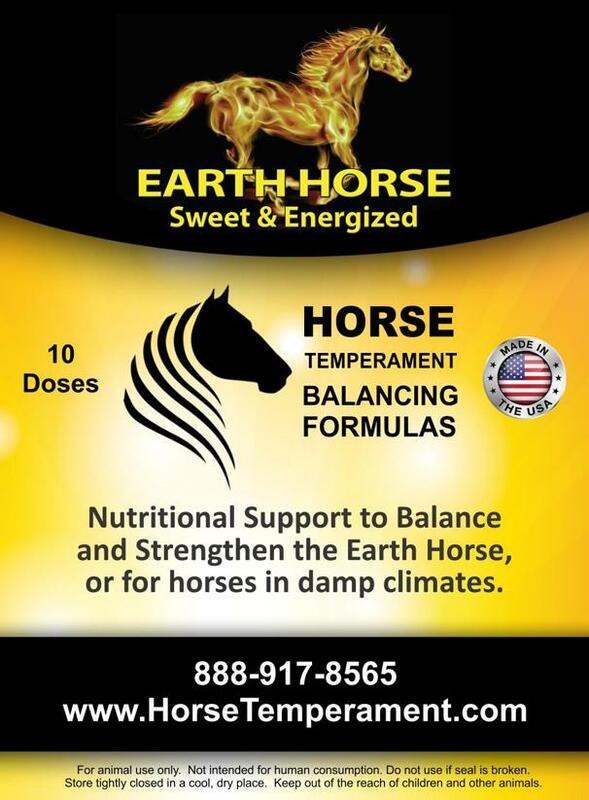 It contains cleansing herbs to offset the tendency of the Wood horse to build up toxins in his tissues. 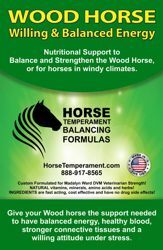 Specific amino acids and minerals are included to help the Wood horse build strong connective tissues and hooves. 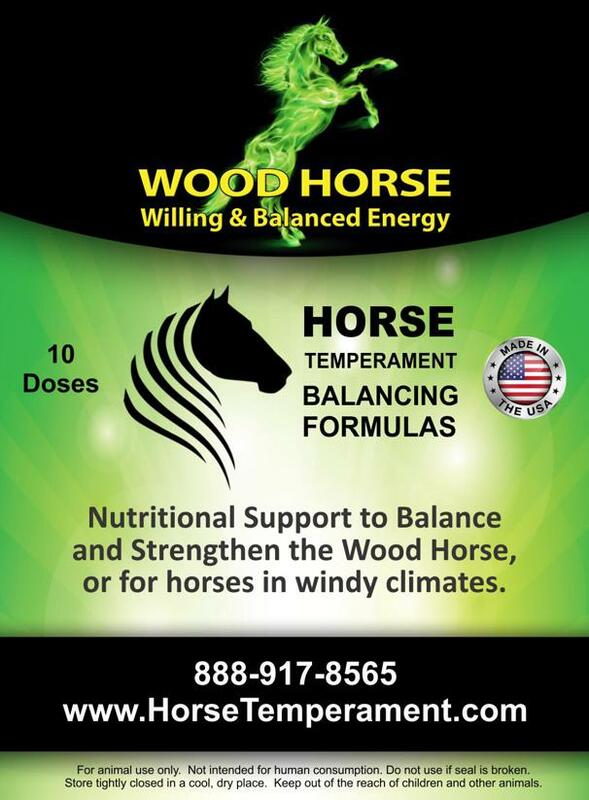 Additional amino acids are used to support the attitude of the Wood horse to help him be more forgiving and less inclined to be angry. 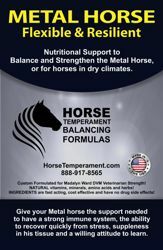 Our Balancing Formulas are designed to help horses stay healthy and handle normal levels of stress. 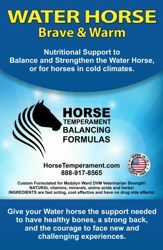 Balancing Formulas work well when the foundational nutritional program is solid and there are no current disease states. 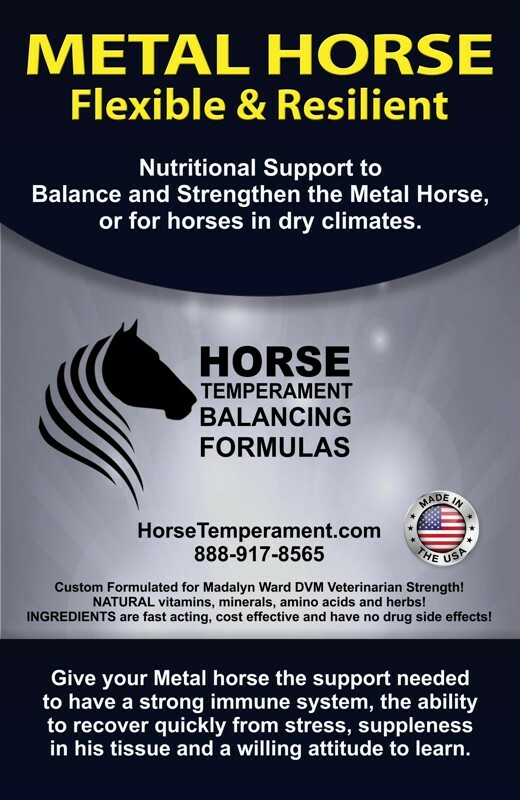 If you are not certain about your foundational nutritional program or your horse has current health problems we suggest a veterinary consult with Dr. Madalyn Ward to address these areas before you order a Balancing Formula. 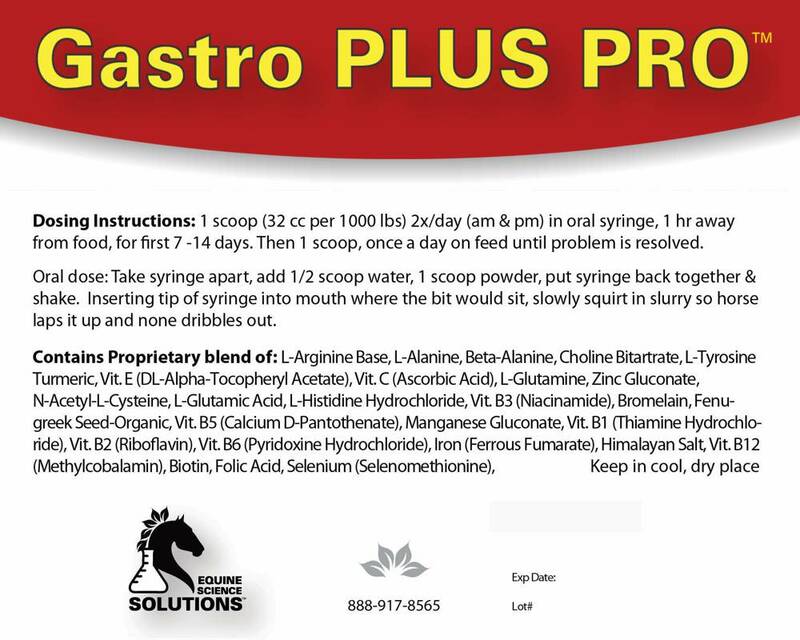 Gastro PLUS PRO address gastric and colonic ulcers in horses from a different physiological standpoint than the current drugs, which suppress gastric acid secretions for short term relief (similar to Prilosec for people). 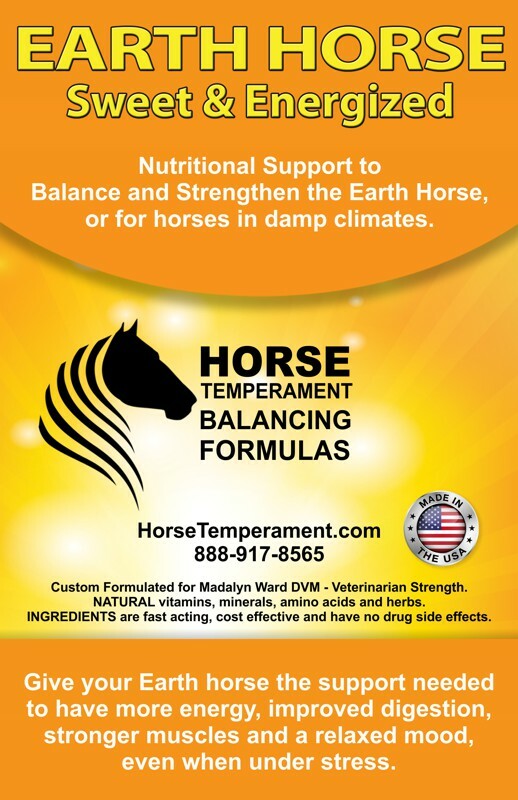 It supplies condition specific nutrients and nitric oxide precursors to support the body's healing of damaged gastric tissue for long term relief by increasing the horse's natural production of mucus which protects the lining of the stomach and intestines. 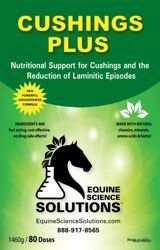 Finally, there is a hard science approach to the treatment of Laminitis. 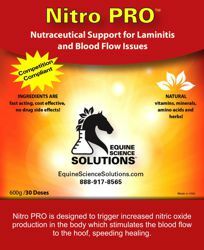 Research indicates that the lack of normal blood supply to the hoof is a major factor in the onset, re-occurrence, and failure of laminitis cases to heal. It triggers the production of nitric oxide to reduce inflammation, increase blood flow, stimulate development of new blood vessels and prevent capillary blockage. 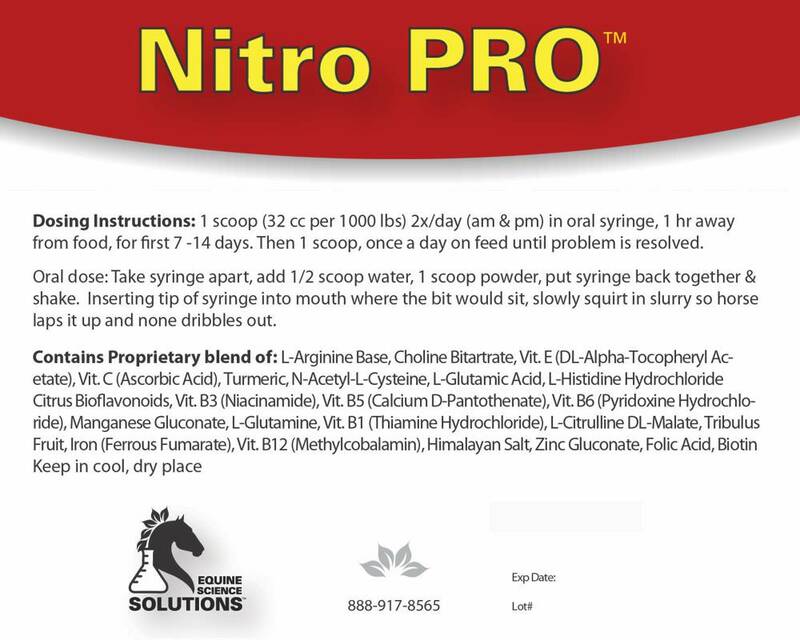 Veterinarians are increasingly turning to Nitro PRO for base support of their treatment of laminitis. 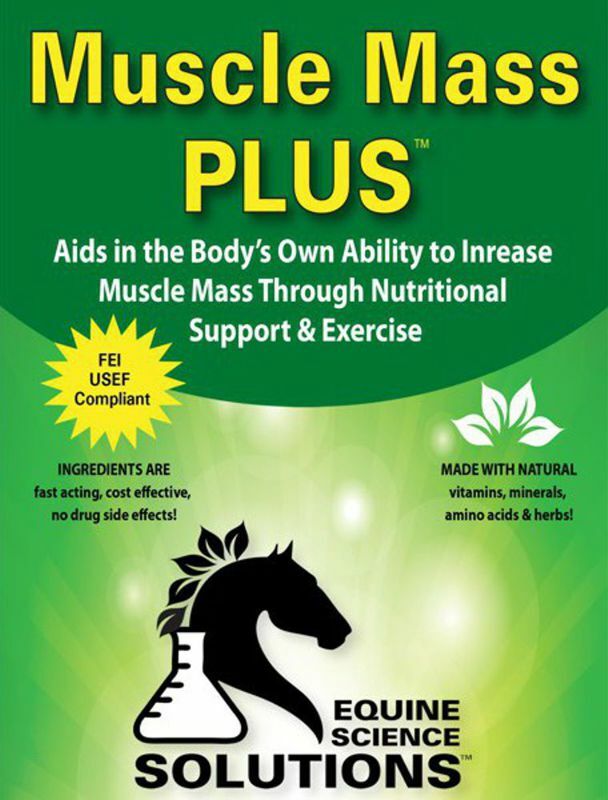 Our revolutionary, synthetic free, formulation is a deeply nourishing, powerful athletic super food, utilizing Nobel Prize winning technology to provide condition specific nutrients, and sustained release nitric oxide (with the safety of network antioxidants) to high performance tissues. 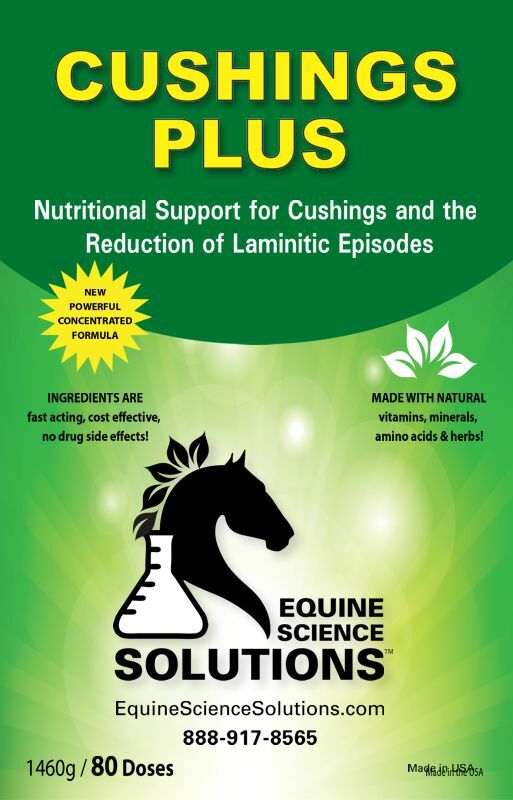 This never before available, cutting edge nutritional science provides a natural and effective way for the horse to elevate its health and performance levels.